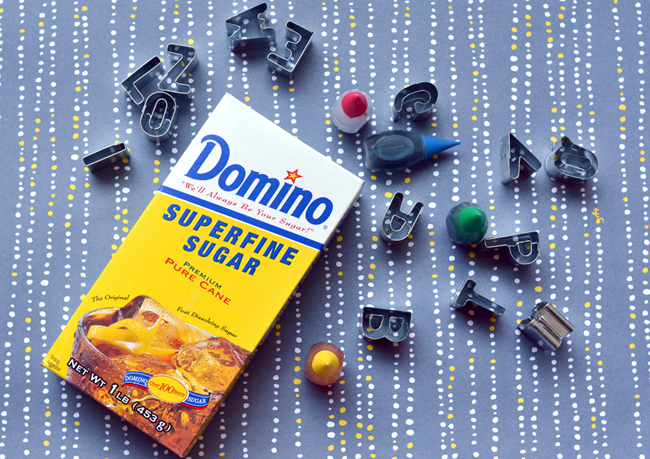 Sure, a spoonful of sugar sweetens your cup of coffee or tea, but these molded sugar letters are just as sweet and much cuter! 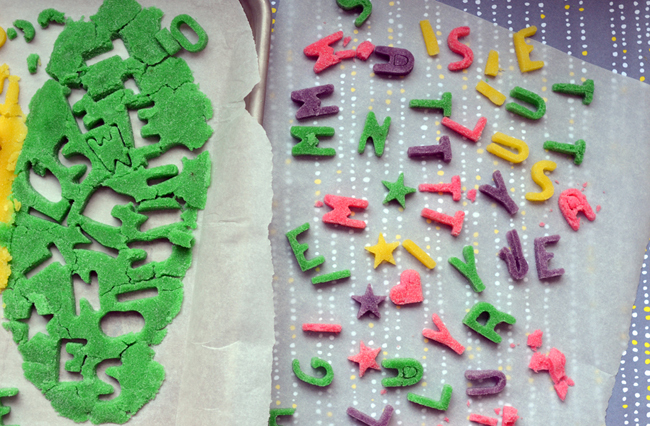 I used the same mini alphabet cookie cutters from a few posts ago (Just can't seem to get enough of them, I guess). 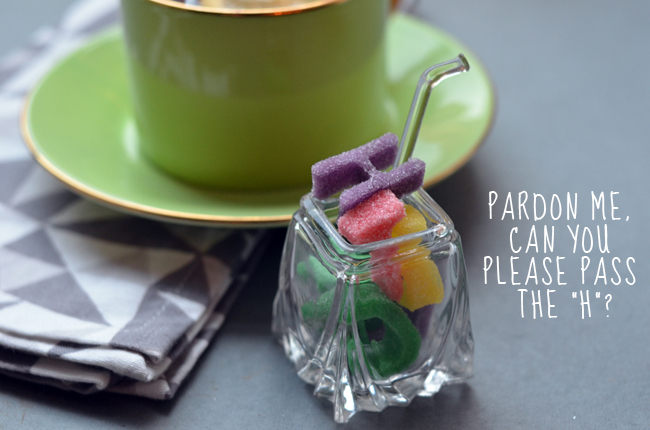 Get creative when entertaining: These sugar molds can replace the traditional name card at any shower or tea party. 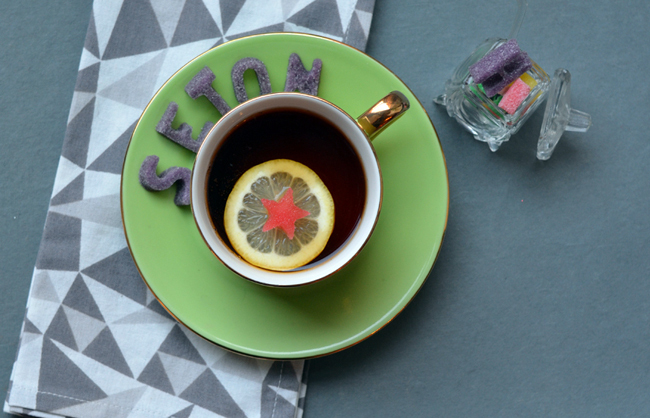 Line your saucers with the names of your guests or just serve the sugars in a dish for an added playful touch at your event. Keep it simple by just molding initials or heart shapes. 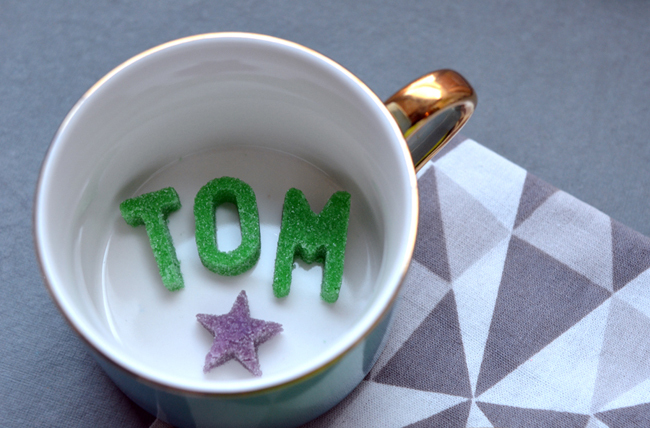 I dyed my sugar with a touch of food coloring, but I think white sugar letters would look just as beautiful, especially if you have colorful teacups. Not throwing a party any time soon? 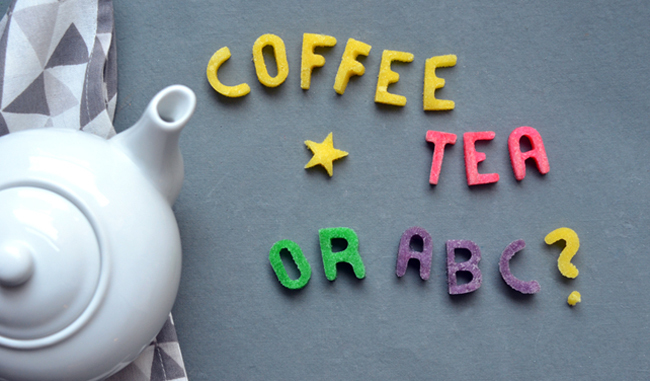 Make them anyway and leave your loved ones a message in their coffee cup. 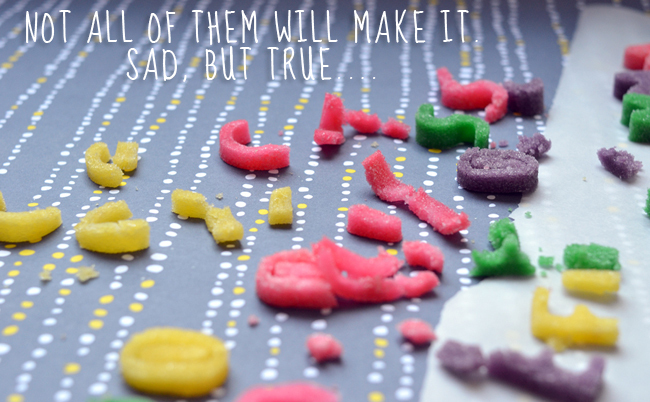 Mold the sugar letters a couple days in advance, helping for stress-free entertaining. Once they dry they're just like sugar cubes....only better. 1. 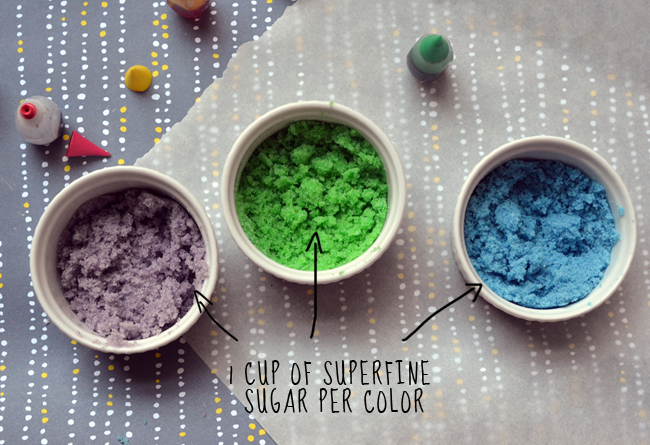 Distribute sugar in separate bowls, 1 cup of sugar per color. 2. Using 1/2 teaspoon at a time, slowly add in the water, stirring thoroughly until the sugar resembles wet sand. 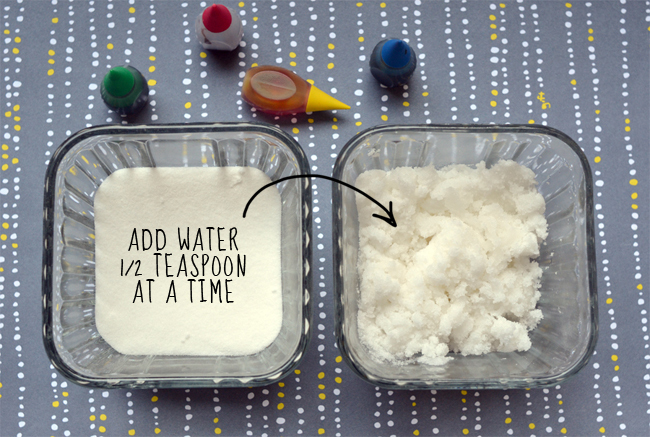 You will need to add about 3 teaspoons total, but it can vary. 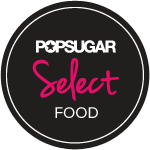 The sugar is ready when you squeeze it in your hand and large clumps form. 3. 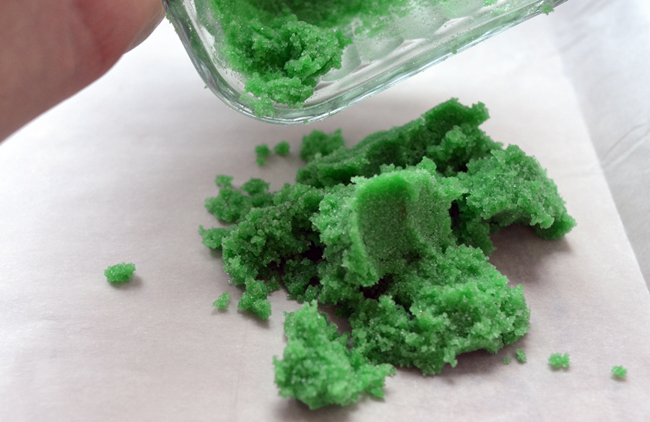 Add the optional food coloring, 1 drop at time. 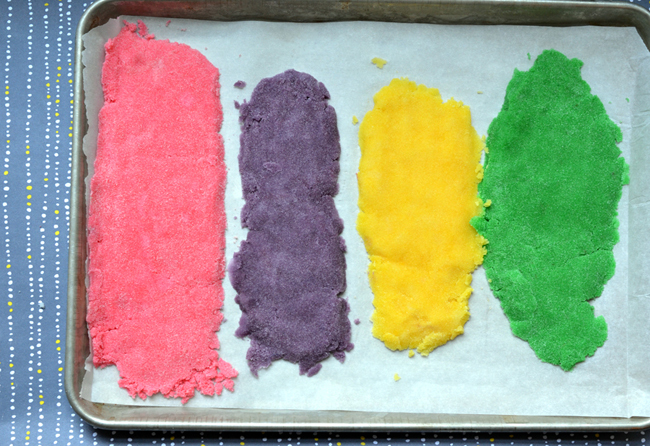 Mix until you get the preferred color. 4. Line the tray or baking sheet with the parchment paper and pour the sugar out onto the sheet. Use your palm to flatten the sugar until it's an even 1/4" thick. If the sugar doesn't stick together, sprinkle a few drops of water and continue to mold it together. 5. Use the cookie cutters to cut out sugar shapes. Let dry for about two hours. 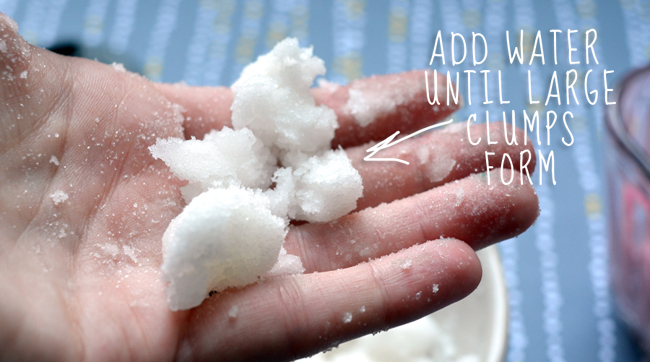 You can re-use all the leftover sugar by sprinkling it with water and reforming it again.